Venerable Master Yin Shun (印順導師, Yin Shun Dao Shi) (March 12th, 1906–June 4, 2005) was an important figure in modern Mahayana Buddhism. Known as a contemporary master, he was notably known as the mentor of Venerable Master Cheng Yen, the founder of Tzu-Chi Buddhist Foundation, a charity association that has gained a worldwide presence. Master Yin Shun also helped bring forth the ideal of Humanistic Buddhism, a popular philosophy practiced by many Buddhists. Although Master Yin Shun is closely associated with the Tzu-Chi Foundation, he has had a decisive influence on others of the new generation of Buddhist masters such as Venerable Master Sheng-yen of Dharma Drum Mountain and Venerable Master Hsing Yun of Fo Guang Shan, who are active in humanitarian aid, social work, environmentalism and academic research. He was known affectionately by many Buddhists as The Mentor. Yin Shun was born prematurely on March 12th, 1906 in a small village in Zhejiang Province, China, near Shanghai. His birth name was Zhang Lu-Ching (Wade-Giles: Chang Lu-ching — 張鹿芹). Eleven days after his birth, Zhang was already ill and was at risk of premature death. At the time of Zhang’s birth, the end of the last Chinese dynasty, the Manchu Dynasty, was a turbulent period. Revolutionary movements ended the imperial governments that had lasted for thousands of years. The first day of January 1911 was designated as the birthday of the Republic of China and marked an abrupt cut from the oppressive past. At the age of seven, Zhang’s father then took him to a neighboring town to receive his preliminary education. Four years later, Zhang left home to attend a boarding school for three years. Not knowing how to take care of himself and feeling inferior to other wealthy children, he was very lonely. He isolated himself and shied away from speaking with other boys. It was his composition class that rebuilt his confidence. In his last year of middle school, the composition teacher gave him full marks plus an extra two points on an essay he wrote. The extraordinary top marks, like sunlight, illuminated his gloomy, depressing life. Through this newly discovered talent, Zhang could comfortably express his thoughts. He later devoted his life to philosophic and religious writings. Zhang’s life took another turn when he graduated from middle school. Zhang’s father encouraged him to study medicine. If his schooling had equipped him with his writing skill, then his medical studies accidentally awakened his otherworldly pursuits. In his studies, he stumbled upon the subject of immortality—a subject that Zhang found interesting. He went and read many books on the subject, and planned to look for various deities. His parents found what Zhang was doing to be very unusual, so they required him to teach at other schools. Zhang turned his attention to Confucianism and Taoism, but neither of their philosophies could help him find the truth. At one point, Christianity sparked light into his heart. He would continuously study the Old and New Testaments, and read Christian periodicals. However, Zhang still felt empty, and could not commit himself to Christianity after two years. One day, Zhang was looking for something to read to kill time. He stumbled onto the words «the Buddha Dharma«. This immediately sparked interest into his heart again, like what Christianity did for him, and Zhang zealously looked for anything that had to do with Buddhism. It was naturally difficult for him to understand the profound meaning that these books tried to convey. But his failure to understand the Buddha’s thoughts propelled him to work harder to perceive the essence of Buddhism. Zhang knew that Buddhism was his refuge. The empty place in his heart was filled. Through his studies, he progressed steadfastly on his selected path. In the spring of 1928, Zhang’s mother suddenly died after having been ill for only four days. In the autumn, his granduncle, who lived with their family, passed away, and his father died the following June. Overwhelmed with providing care and medicine and then managing funerals for his loved ones, Zhang was upset with the suffering and misery that life had brought him. He no longer had any family he could turn to. He asked himself why was there such a drastic discrepancy between the Buddhist doctrines that he read about in books and the actual practice of Buddhism in real life. He yearned to dedicate his whole life to unraveling this mystery. His mind was set on finding places where Buddhism was still practiced the way it should be. It was at this point where he decided to become a monastic. In 1930, Zhang applied to a Buddhist college in Beijing. His entrance exam consisted of an essay. His essay thesis talked about how the Buddha Dharma is aimed at eradicating suffering and obtaining bliss. He was accepted into the college a few days later. However, the notification for the school commencement never appeared in the papers. Anxious, Chang decided to go to Beijing to see for himself. At the age of twenty-five, he left home and renounced his worldly life for good. For many days he had traveled from his home to Beijing, with high hopes. To his dismay, the school had been shut down due to military confrontations among warlords. He had no choice but to return to Shanghai. While pondering where he could go next, Chang suddenly thought of a temple called «Tien Tong Temple» . Seizing the thought, he boarded a boat sailing toward Ningpo. However, he was told by the locals upon his arrival there that the temple could not be reached by means of rickshaws, a commonly used means of transportation then. Chang then went off to Mount Putuo, one of the four Sacred Mountains of China, and was not too far from where he was. One day, a young man walked by and caught a glimpse of the sutra that Zhang was reading. He was named Wang, who also had aspirations of becoming a monastic. It was the first time that Zhang had shared with anyone else his desire of becoming a monk. The stranger standing before him soon became his close friend. Both searched for an abode where they could study the Buddha Dharma. They eventually found a snall place where they could do so, where their abbot who was well cultivated. They both came up to him and asked to study under him. Sensing their sincerity and aspiration to learn, the old monk briefly expounded the essence of Buddhism for them. His voice was stern but serene. The elder monk then referred Zhang and Wang at another wayplace called Fu Zhun Monastery, less than a half mile from where they were. The two hurried to Fu Zhun Monastery. There, the abbot, with his gray hair and beard glowing under the sun, looked extremely dignified and holy. After listening to their explanation, he nodded in agreement. Together, Zhang and Wang stayed at the monastery and began to delve into the Buddha’s teachings. Master Jing Nen, the abbot of the monastery, made that seed sprout. On October 11, 1930, the old master shaved Zhang Lu-Ching’s head and gave him the Dharma name of Yin Shun (印順). Chang, now known as the Venerable Yin Shun, noticed that Buddhism in China was waning. The Buddhist scriptures, the lectures and teachings of the Buddha ought to be studied, understood, and above all practiced in daily life by Buddhists. But in China, the scriptures were nothing more than chanting materials for funerals. In his hometown, monks only chanted sutras for the dead, while their major duty of expounding the Buddha’s teachings to those who were still alive was completely ignored. The decline and lack of dedication of the contemporary Sangha worried young Yin Shun deeply. He, too, was overwhelmed with questions and doubts. Furthermore, ruthless criticism and reprimands could be heard in society. «Buddhism ruins the country!» «Monks and nuns are useless!» «Abolish monasteries!» Derogatory slogans like these were shouted almost every day by some educated people. This harsh critique made a strong impact on Yin Shun. Was it true that the Buddha Dharma had become useless in dealing with people and events in the lives of the people? Yin Shun felt that Buddhism seemed to have been transformed into a paper bag flying in the sky of 2,500 years ago—it could easily be blown away in a gust of wind. A line caught the young monk’s eyes: «All Buddhas arise in the human world; no one achieves Buddhahood in heaven.» With that verse, all doubts hanging in his mind evaporated. At last, Yin Shun found the answer to his question. Tears of joy rolled uncontrollably down his cheeks. According to him, it was that day he saw the Buddhas—these Buddhas existed in the world. «His footsteps covered the two shores of the Ganges River. How could one say that he passively renounced the worldly life and abandoned his fellow human beings? In order to find the Truth and attain genuine emancipation, he led an austere and simple life. He had to endure all sorts of slander and even assassination attempts, and still remain composed and compassionate. Why did he do all these things? Did he lead a more pessimistic life than the kings of his era? All in all, he renounced his comfortable worldly life in order to end the suffering in the world, to find liberation for people, and to elevate human beings. Through all this, he had no ego or any selfish aims. «The Buddha lived not in seclusion, but among people. Every day he walked barefoot to villages to beg for food. When he met a farmer, he used examples from farming to talk about the meaning of life. No matter who he met—a butcher, a prostitute, a bandit, a slave, a scholar, or a child—he would talk to them, according to their temperament and intellectual faculty, to inspire them a little and alleviate their suffering. 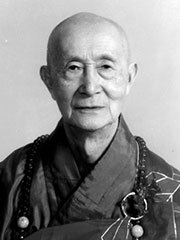 In the 1950s, Master Yin Shun observed that the Buddhist monks and nuns in Taiwan, just like those in his hometown, seemed to be only concerned about performing rituals, and not educating other monks, nuns or laypeople with the Buddha’s philosophy. Worried about this unfavorable situation, Master Yin Shun decided to reverse the trend. The society, including the Buddhist sangha, of that time saw women as inferior to men. Women had few chances to receive an education. Inspired by Master Yin Shun’s belief that studies would enhance a nun’s spiritual growth, a nun named Master Shuan Shen opened the Hsinchu Women’s Buddhist Institute in her convent. In addition, Master Yin Shun set up the first Buddhist lecture hall on the island—the Hui Ri Lecture Hall. Through lectures and discussion, attendees were encouraged to study the orthodox Buddhist teachings. His efforts paid off. Quite a few Buddhists have learned to behave properly according to the Buddha’s teachings. In March 2004, he was awarded the Order of Propitious Clouds Second Class, for his contributions to the revitalization of Buddhism in Taiwan. On February 1963, a thirty-two-day novitiate for Buddhist monks and nuns was held in Taipei. Monks and nuns came from all over Taiwan to register. All were accepted except a young female devotee from Hualien, a county in eastern Taiwan. ¹At the time, Yin Shun only had three disciples. All three now are teaching the Buddha Dharma in the United States. Since the registration for the novitiate was about to end within the hour, the venerable master quickly gave the young disciple her Buddhist name, Cheng Yen, and told her to get going and begin the novitiate promptly. At that moment, the conditions for the creation of the Tzu-Chi Foundation began. In the summer of 1979, Master Yin Shun came to Hualien. Living in this beautiful but undeveloped part of the island, Master Cheng Yen told Master Yin Shun about her aspiration to build a high-quality hospital for the people living in eastern Taiwan, where there were few medical facilities. Seeing his disciple’s resolution, Master Yin Shun’s mind was put at ease. With this talk, the hospital construction project began. Although Master Cheng Yen would soon face many insurmountable difficulties and challenges, Master Yin Shun’s support gave Master Cheng Yen the strength to go on. He transferred virtually all the monetary offerings made to him by his followers to the hospital construction. The sum accumulated throughout the years was truly sizable. Wherever he went, no matter how frail he was, he always promulgated humanized Buddhism. In November 1954, a checkup revealed that the master had long been inflicted with pulmonary tuberculosis. His lungs were calcified and the tracheae were abnormal. He needed to receive immediate medical treatment and get adequate rest. Still, he had to fly to the Philippines to give a series of lectures. When he finally returned to Taiwan, five months had passed. The trip took a heavy toll on his health. He barely had the strength to eat or talk. However, when people came to him with questions on Buddhism, he would summon his strength and answer spiritedly. In 1999, another life-threatening illness befell him. Because of months of incessant diarrhea, the signs of life were fading from the 94-year-old Mentor of Buddhism. Such pain and fatigue would be unbearable to any robust youth, let alone a man of his age. Yet never once did Yin Shun panic or complain. Whenever guests came to visit the venerable master, he summoned up his spirit to speak to them. On June 4th, 2005, Master Yin Shun passed away after fighting pulmonary tuberculosis since 1954. He died in a Tzu-Chi hospital in Hualien at the age of 100. In Taiwan, thousands were shocked to hear of his death, even if his death was expected to come in the coming months. Tzu-Chi, along with many Buddhist organizations and temples influenced and inspired by Master Yin Shun, joined in remembering him for eight days. Among those attending the services were Chen Shui-bian, President of the ROC, Frank Hsieh, the Premier, Su Jia-Chuan, Minister of the Interior, and other legislators. Several monastics from many parts of the world, dominantly the United States, also attended Master Yin Shun’s funeral. Monastics who were disciples of Master Yin Shun attended the funeral, such as Venerables Yin Hai, Chao Hui, Chen Hua, Fa Tsang, and many other monastics, including Master Cheng Yen herself. Master Yin Shun had a simple and spartan lifestyle in the last days of his life, so his disciples decided to keep his funeral simple but solemn. His funeral was held at Fu Yan Vihara in Hsinchu, where he had lived for many years until his death. Master Yin Shun was later cremated on June 10th and his ashes and his portrait used during the services were placed inside a hall alongside the remains of other monastics.